SAUSAGES VENISON RED WINE AND HERB (6 sausages) from Camerons Quality Butchers. 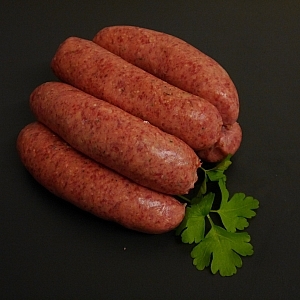 made from locally sourced venison approx 6 to the pound these gamey sausages can be slow fried, baked in the oven, grilled, or put on the BBQ. also great casseroled.